Barry Pepper is a Canadian actor. He is best known for his roles like Jonnie Goodboy Tyler in Battlefield Earth, Sergeant Michael Strank in Flags of Our Fathers, Dean Stanton in The Green Mile, Private Daniel Jackson in Saving Private Ryan. 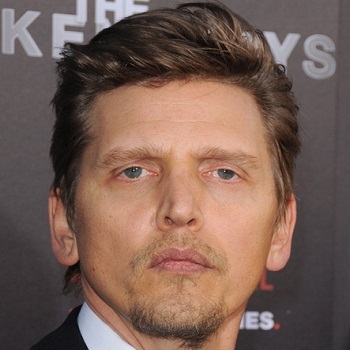 Barry pepper was born on April 4, 1970 in Campbell River, Canada, he is the son of a retired lumberjack. When pepper was just 5 years old, his family sail on their homemade ship, navigating through south pacific islands for five years. He auditioned for the role in Tombstone in 1993. He currently has the net worth of $10 millions dollars. He also appeared in Jagged Edge's "Goodbye" video. He is married to Cindy Pepper	on 16 November 1997 and are together since then.they also have one child who was born on 17 June 2000 and named her Annaliese. He was nominated three Screen Actors Guild Awards and a Golden Globe Award. And won the Emmy Award for Outstanding Lead Actor in a Miniseries or a movie, for his role as Robert F. Kennedy in the miniseries The Kennedys in 2011. Thomas Anthony "Tom" Hollander is an English actor. He is known for his roles in comedic films such as Pirates of the Caribbean, Pride & Prejudice. He played the lead role in the British Academy Television Award winning sitcom Rev., in 2011. Bill Burr is an American actor, comedian and writer. He is mainly known for his stand-up comedy. He also has hosted Bill Burr’s Monday Morning Podcast. He portrayed the character Patrick Kuby in the crime drama Breaking Bad. Charming and popular actor,model and host from South Korea.He became popular after performing on the historical drama ‘Sungkyunkwan Scandal’and the show Running Man. A young and rising star from United States, Noah Schnapp is famous for his role in the studio film Bridge of Spies.